The main TSX index closed lower Thursday, a day that started with a downgrade from Moody’s for six Canadian banks (see below) and then saw a 60 per cent drop for the parent company of loyalty program Aeroplan. The slump for Aimia followed Air Canada’s decision to drop the loyalty scheme in 2020 with a replacement which it says will be better customers. The airline’s shares rose more than 8 per cent. Meanwhile, commodities remained buoyant with materials leading four sector groups higher. Industrials almost erased the gains for materials though and the six sectors that closed lower, including financials, meant a weak finish for the session overall. Wall Street also closed with losses as retail shares dropped on earnings; European markets were mostly lower except London which was flat after the BoE held interest rates. Asian markets closed mostly higher. Moody’s has downgraded its ratings for six Canadian banks due to their exposure to risk from high house prices and household debt. The ratings firm has cut the deposit and long-term debt ratings for TD Bank, BMO, RBC, Scotiabank, CIBC and National Bank. Each has been moved down one level over fears that the quality of the loans they hold may be weakened. 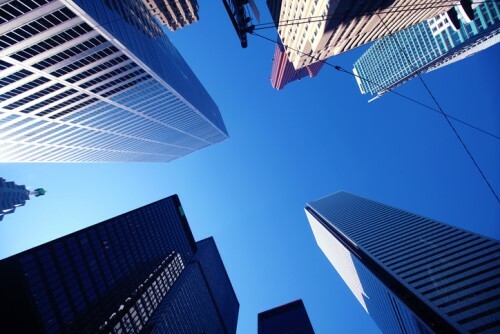 Although it acknowledges the capital and liquidity buffers that Canada’s big banks have, Moody’s notes that their resilience has not been tested at the current high levels of indebtedness. TD is now rated Aa2 while the others are A1. The robo-advisor Wealthsimple has been given a $50 million boost from Power Financial, taking its total investment to date to $100 million. Power has been an investor in the fintech firm since 2015 and has helped the firm expand its operations to the US with the UK to follow. It has $1 billion of assets under management. Home Capital’s latest reveals that it has $1.02 billion in liquid assets plus $600 million of undrawn credit facility. The lender said that it expected the balance of deposits in its Home Trust High Interest Savings Accounts to be $128 million after settlement of transactions that took place Wednesday.